“Vive la France”, “Vive la liberté” are French expressions to show your patriotism. “Vive la France” translates as “hurray for France”, or sometimes as “long live France”, depending on the context. The French use many symbols and expressions to show their patriotism. The French expression “Vive la France” is one you’ll hear at the end of almost each politician’s speech. It’s one of the typical French mottos, such as “God Bless America” or “God Save the Queen”. It’s used by politicians, and also on special France days such as elections or Bastille Day, and sadly also for national tragedies to show one’s support for France and its ideals. In this context, it translates as “long live France”. But the expression “Vive….” is also very common to show your enthusiasm about, pretty much anything! In that manner, it translates more like “hurray for…”, and gives the idea you are excited about something. Vive moi ! Hurray for me – yeah me! Vive les mariés – hurray for the newlyweds. Vive l’amour – hurray for love. Note the spelling of “vive” – it’s not “viva” as in “Viva Las Vegas” which comes from Spanish most likely. 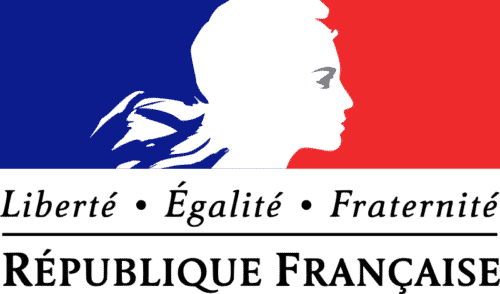 The French Motto means “liberty, equality, brotherhood” and it’s mostly used in written form, in government issued documents, on coins, and of course on government buildings. However, you’ll often find this motto in the news too, and often one of the words will be changed to adapt it to a certain cause, or for a comical effect. Composed by 1792 by Claude-Joseph Rouget de Lise, “La Marseillaise” became the French national anthem (l’hymne national français – pronounce it leemn) in 1795. Most people know the first 4 lines, maybe the first paragraph, and the chorus. And that’s it. It’s VERY bloody and gory… Here is the French lyrics and English translation of the first paragraph and chorus, for more, I invite you to visit Wikipedia. French people will sing “la Marseillaise” on special occasions such as Bastille Day, War Memorials and also sports events. People usually put their right hand on their heart when they do. To listen to it, follow this link to youtube. or sometimes quote “Liberté, Égalité, Fraternité”. Some common French patriotic expressions are “Impossible n’est pas français” – Impossible is not French (as in not part of our language), or “en France, on n’a pas de pétrole, mais on a des idées” (in France, we don’t have oil, but we have ideas), which comes from an ad in the 70s but remained as part of our common language. Now, I could go on the net and quote Victor Hugo “Servir la patrie est une moitié du devoir, servir l’humanité est l’autre moitié.” (“Serving the homeland is half of duty, serving humanity is the other half.”) but honestly, who drops that in a conversation? Stick with “Vive la France”. The French tricolor flag – le drapeau tricolore (it has no other name). 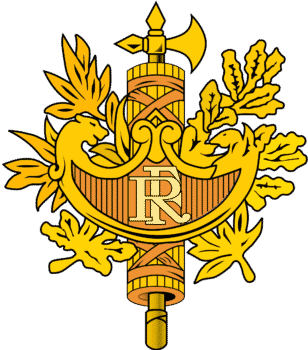 The Great Seal of France as it appears on French passports and other legal documents. The Gallic rooster and its song “Cocorico”! Fluctuat nec mergitur – which is the motto of Paris, used after the November 13th, 2015 attacks. Voilà, I hope this helps. You may also enjoy my article on How the French Celebrate Bastille Day, or France, f/Français(e/s) – how to say France and French? What about the French Election? 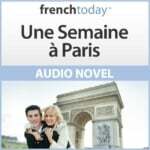 Learn the French Election vocabulary and understand how we vote in France as you practice your French with this easy bilingual learn French in context story.